One of the buildings is slated to house the bioinformatics research center, while the other houses the university's data science school. The University of Haifa on Monday announced that it has secured the first two buildings within the Lorry I. Lokey Downtown Campus, which will consist of at least four buildings located throughout the Port of Haifa and the city’s downtown area. The University’s newly acquired building at Hanamal 16 Street will be known as The Dylan Tauber Educational complex. The downtown campus will also be home to the Tauber Bioinformations Research Center. Funded by a donation by the Laszlo N. Tauber Family Foundation, the center develops scalable high-performance computing hardware and software solutions for existing and future challenges of “big data” in biomedicine and agrobiology. The building’s facade is comprised of digitally printed glass depicting Israeli cultural heroes, underscoring the facility’s role as an educational hub. 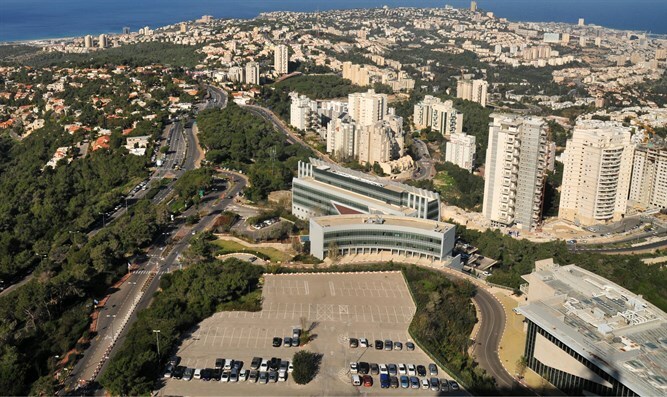 Additionally, the Haifa City Council has allocated the use of the Palmer Street (#4) building to the University, designating it as part of the new University of Haifa School for Data Science, which will begin operating on Oct. 1, 2019. Once the renovation of the building is completed, it will feature classrooms and state-of-the-art research labs that will be part of downtown Haifa’s budding innovation community. Funded by a $10 million gift from well-known American philanthropist and Business Wire founder Lorry I. Lokey, the new downtown campus, is a key manifestation of University of Haifa’s unique “multiversity" model: a multi-campus institution with locations around Haifa and throughout northern Israel, easing access for students and adding vitality to its city and region, while allowing a wide range of ideas and activities to flourish in a diverse community. While the Haifa municipality is generously assisting the University with the acquisition of some of the new campus’s buildings, Lokey’s philanthropy will significantly offset the project’s renovation costs. “University of Haifa is pioneering an important new paradigm for institutions of higher learning through its multiversity, and is infusing new energy into the city, region and entire country,” Lokey said in May, when his donation was announced.